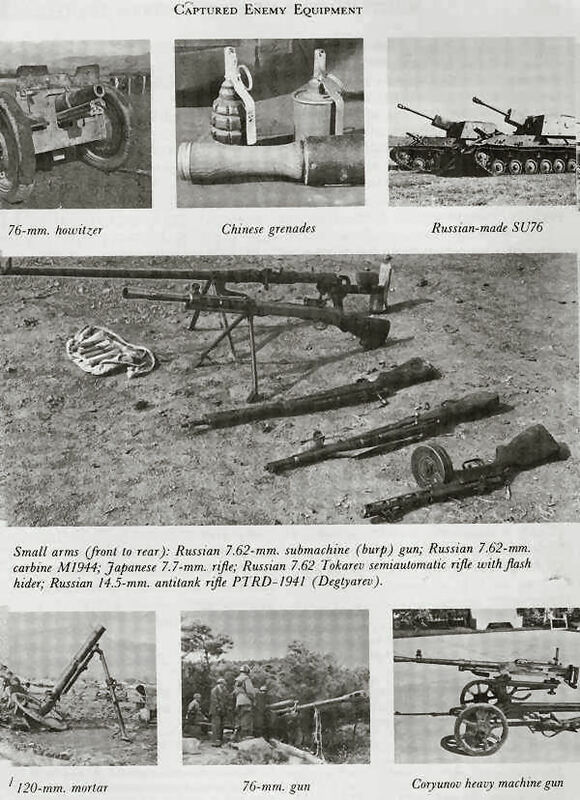 Deadly at 2700 ft-lb muzzle energy, about equal to our M1 Garand 30-06, but heavy and difficult to deploy during battles of maneuver, the Chinese and North Koreans normally used these vicious weapons in prepared defensive positions, direct support, staging or re-grouping. The Goryunov was developed during WWII as a replacement for the PM1910 (Maxim). 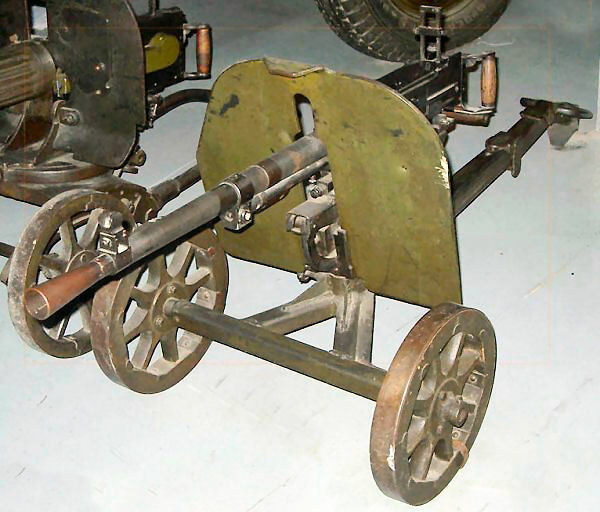 Goryunov used a tilting breechblock, moving sideways and locking into the side of the receiver. The feed is not straightforward, as the gun fires the 7.62mm rimmed rifle round, and this has to be withdrawn rearwards from the belt before ramming into the breech. The reciprocating motion is achieved by using two claws to pull the round from the belt, and then an arm pushes the round into the cartridge guide ready for the bolt to carry it to the breech. Despite this complication, the Goryunov was remarkably reliable and feed jams were apparently few. The barrel is air-cooled and massive, contributing to a fairly high overall weight. The bore is chromium-plated and able to withstand continuous fire for long periods. The barrel can also be easily changed by releasing a simple lock, and the carrying handle allows a hot barrel to be lifted clear without difficulty. The WWII version of the gun (i.e., the captured weapon pictured above) had a smooth outline to the barrel, and the cocking handle was under the receiver, with no dust covers to the feed and ejection ports. 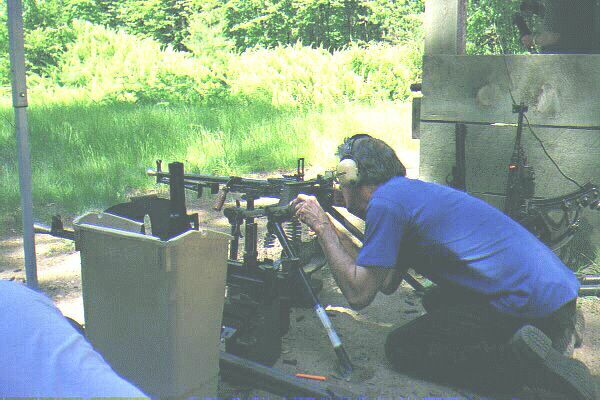 The SG43M included the first improvements to the primitive original gun. Dust covers and a new barrel lock were fitted, and a splined barrel was fitted to improve cooling. The CCF manufactured their own version of the SG43M. 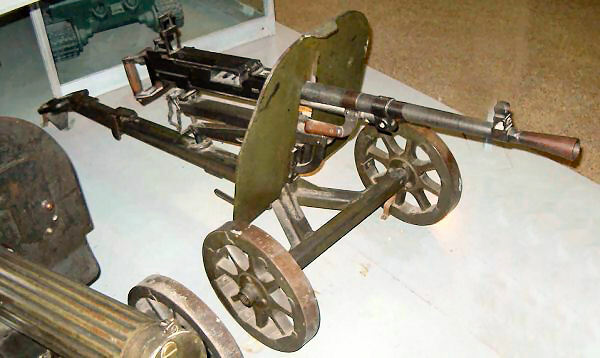 It was virtually obsolete at its inception, but the CCF probably appreciated the gun's extreme ruggedness and reliability. 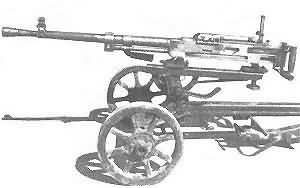 American forces used the light and heavy machine guns mostly at a few hundred yards or less, contrary to their design concepts. This was the nature of the battles our company and platoon sized forces faced, which were mostly defensive. The Chinese used them at greater distances but, at least in the early phases of the Korean war, used them sparingly at these distances. Probably because of the difficulty of transporting the heavy guns and ammunition over long distances on foot, which was often their only available method. They were used most effectively in defensive positions, and blocking positions for their attacking units to safely fall back to and re-group.